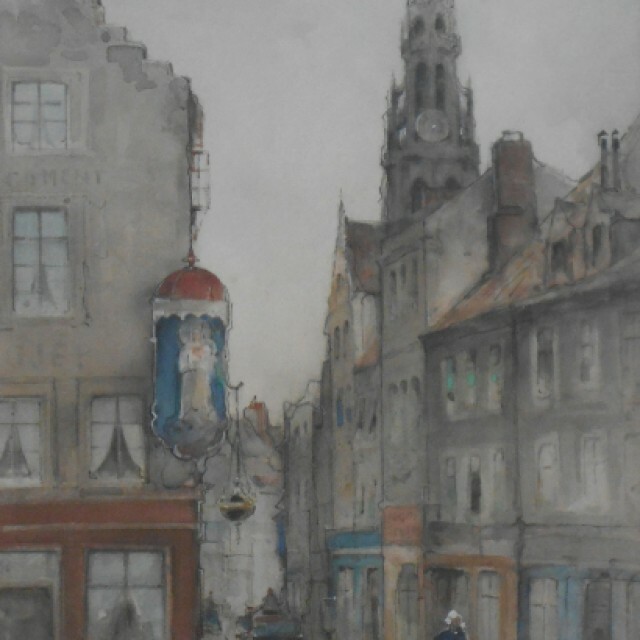 James Little (1875-1910) was primarily an Edinburgh artist, producing oils and watercolours of landscapes, townscapes and interiors, although he painted in Paris, Holland and Belgium from the mid-1880s onwards. 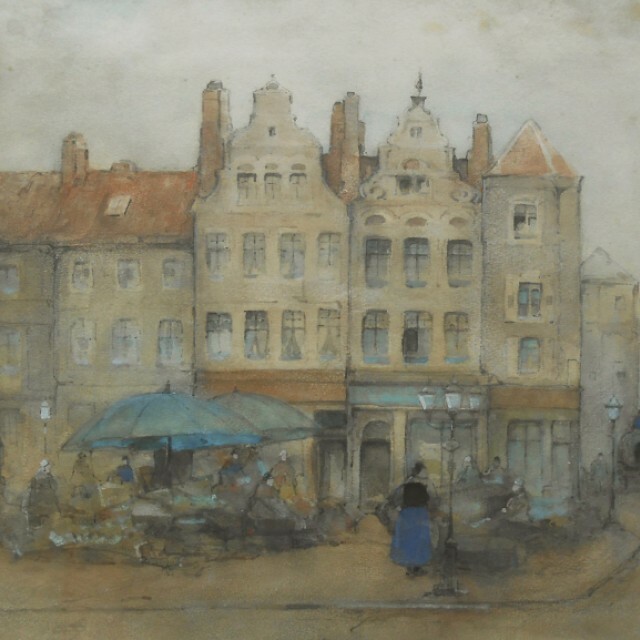 He painted in a proficient, somewhat Low Countries or Hague School style, favouring a soft grey-green tonality, as can be seen in this watercolour. He delighted in the texture of buildings and the contrasting lines and angles they produced. He exhibited regularly at the Royal Scottish Academy from 1877 until 1910 (some 58 works) and at the Glasgow Institute of the Fine Arts from 1882-85. 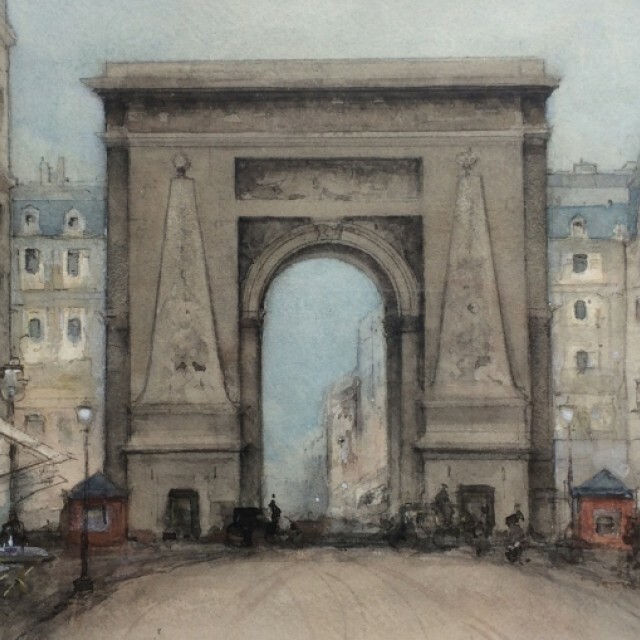 Early works were exclusively of Edinburgh and the immediate environs, but in 1885 he introduced some London titles into his oeuvre and from 1887 began a steady stream of works of Paris and Normandy. From 1899 until 1910 Little also exhibited titles from Belgium and Holland, including Scheveningen. 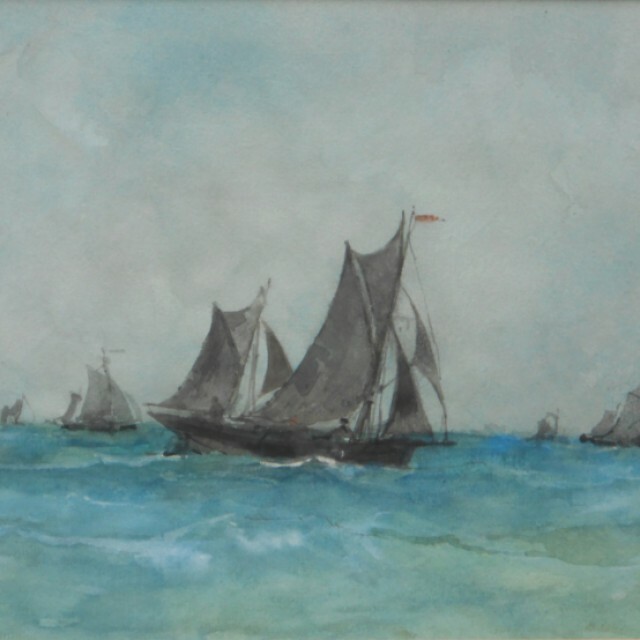 In 1910, his RSA entry, No 8, was titled "A Dutch Windmill"